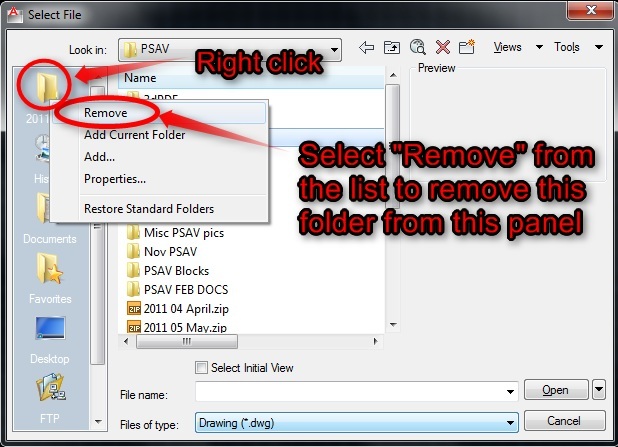 While in AutoCAD, we usually need to open another drawing. 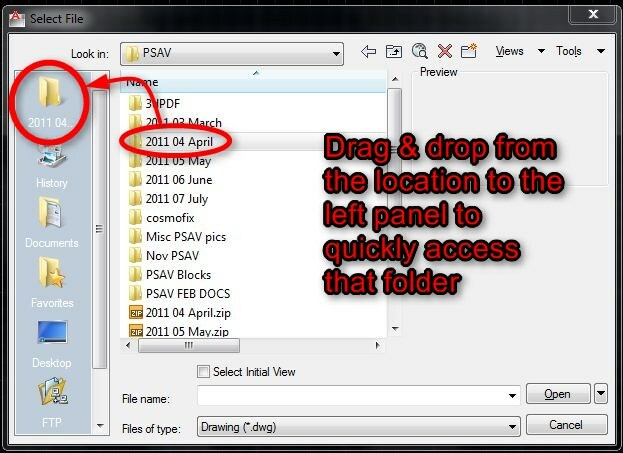 there are ways to set the default location where AutoCAD looks to open a drawing but this tip is how to customize the dialog box that lets you search your computer to open another drawing. 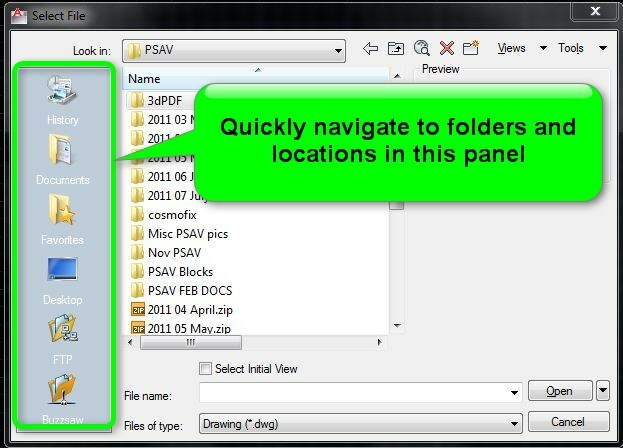 The great thing is that you can customize this to list multiple locations. 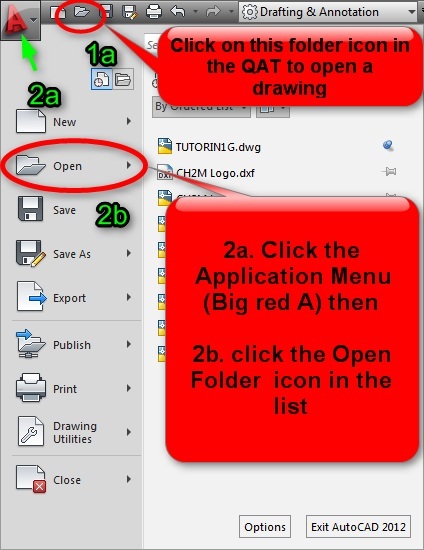 Click the Application Menu (Big Red A) then click the folder icon that says “Open” next to it.